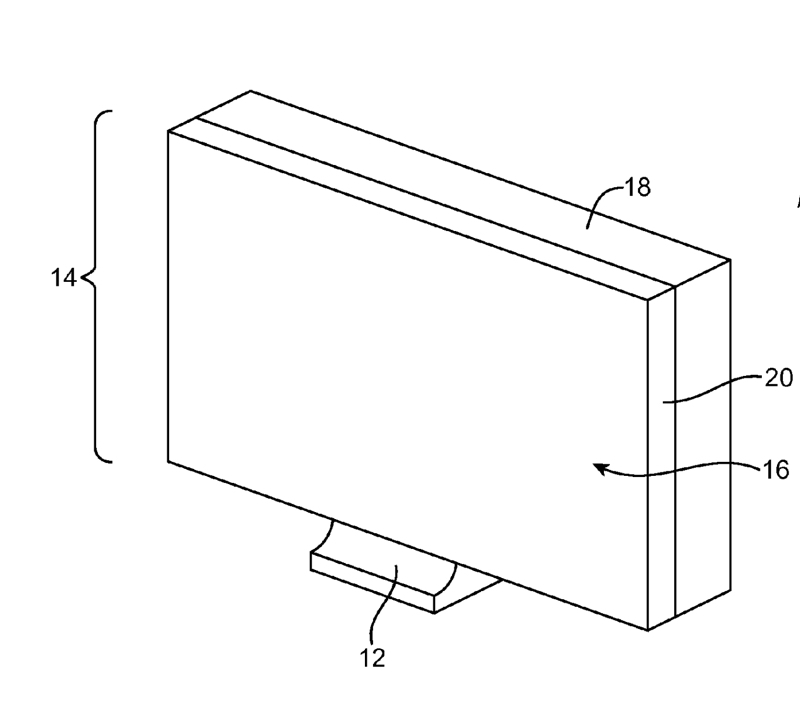 Future iMacs may sport glass in the rear as well as for a display cover. They may also sport illuminated, wireless keyboards like those on Mac laptops. 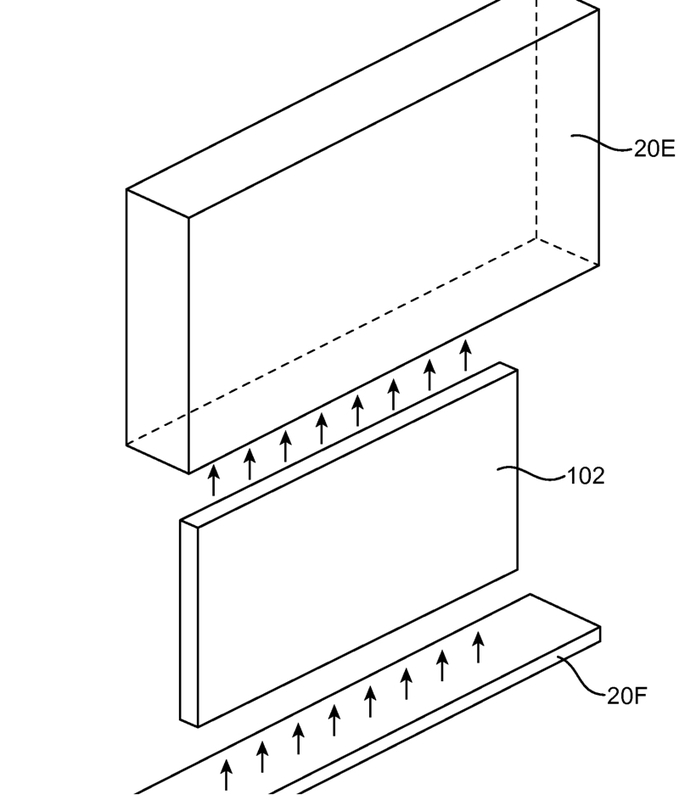 Apple has filed for a patent (number 9,125,298) with the U.S. Patent & Trademark Office for "fused glass device housings" that may be used to cover a display and other internal electronic device components. Jony Ive, Apple's design guru, is listed as one of the inventors. In the patent filing, Apple doesn't say why replacing aluminum on devices such as iMacs would be desirable (perhaps it's just cooler looking). However, the company says that the use of glass should be used with care so as not to add extra size or weight to the device. The patent could also refer to a Thunderbolt Display, which is way overdue for a 5K upgrade. Patent 9,123,485 is for a backlit keyboard assembly. A keycap assembly is mounted into a case web having intersecting ribs. A flange, which can be angled, is on the bottom perimeter of the keycap and a correspondingly shaped flange is on each rib of the case web. An overlap of the keycap flange and the case web flanges prevents direct sighting of the backlight light source and also provides a more evenly distributed halo around the keycap, "thereby improving both aesthetics and functionality by providing better light control and contrast." In the patent filing, Apple says that the outward appearance, as well as functionality, of a computing device and its peripheral devices is important to users. One design challenge associated with these devices, especially with backlit keyboards, is the difficulty balancing the desirability of providing backlight for a keyboard with controlling a halo effect around keys to improve user functionality as well as preventing backlight leakage (direct sighting of the backlight light source). Apple's goal is to provide a backlit keyboard mechanism comprising a keycap assembly for controlling the halo effect and for preventing backlight leakage. Such a keyboard can be used in the dark and preventing the direct light leakage also allows the key legend and halo brightness and contrast to be controlled more precisely. Prevention of direct sighting of the keyboard backlight light source by the user "therefore would improve both aesthetics and performance," notes Apple.